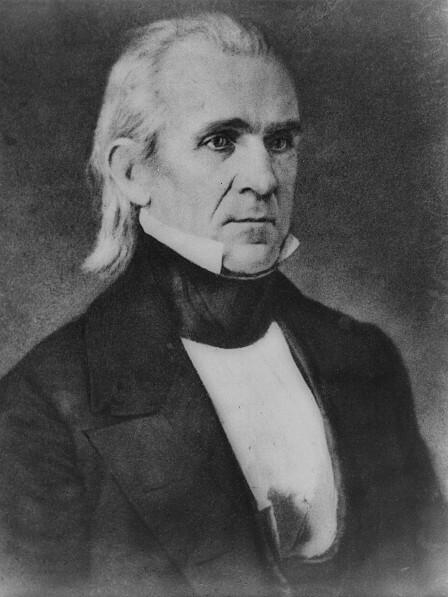 Democrats nominated Polk as the nation's first "dark horse" candidate on the ninth ballot of the Democratic National Convention, after former president Martin Van Buren lost his bid because of his opposition to annexing Texas, a position deemed unacceptable by Southerners and by former president Andrew Jackson. Told of his nomination in a letter, Polk penned his reply: "It has been well observed that the office of President of the United States should neither be sought nor declined. I have never sought it, nor should I feel at liberty to decline it, if conferred upon me by the voluntary suffrages of my Fellow Citizens." Read Polk's acceptance letter in full in the American Memory collection Words and Deeds in American History: Selected Documents Celebrating the Manuscript Division's First 100 Years. News of his nomination was spread by the Morse telegraph system, which had just been invented. James Knox Polk (pronounced /poʊk/, POKE) (November 2, 1795 – June 15, 1849) was the eleventh President of the United States (1845–1849). Polk was born in Mecklenburg County, North Carolina, but mostly lived in and represented the state of Tennessee. 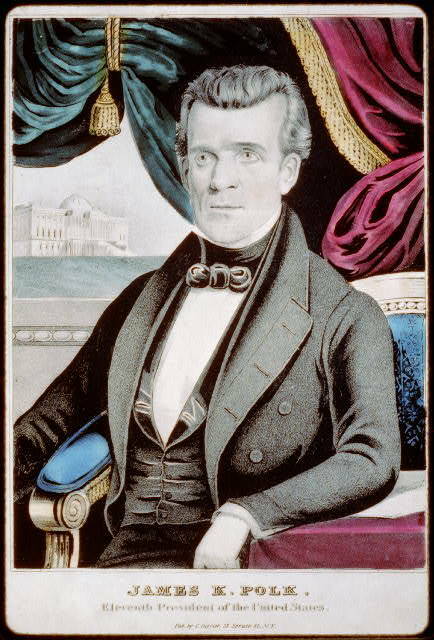 A Democrat, Polk served as Speaker of the House (1835–1839) and Governor of Tennessee (1839–1841) prior to becoming president. A firm supporter of Andrew Jackson, Polk was the last strong pre-Civil War president. Polk is noted for his foreign policy successes. He threatened war with Britain then backed away and split the ownership of the Northwest with Britain. He is even more famous for leading the successful Mexican–American War. He lowered the tariff and established a treasury system that lasted until 1913. A dark horse candidate in 1844, he was the first president to retire after a single term without seeking re-election. He died of cholera three months after his term ended.